Most Cadillac models cost more than average to repair after accidents, though a few models are less expensive in this regard. When you’re considering a Cadillac purchase, you can estimate your insurance costs using Ratelab’s car insurance calculator. Using your driving history and the model information for the Cadillac you’re interested in, Ratelab searches dozens of Ontario insurance companies to pinpoint the best rates for the auto insurance coverage you want. Start the process with your home postal code in the space provided on this page. The table below shows Cadillac car insurance cost for a sample driver. Methodology: We surveyed Cadillac car insurance prices in select Canadian cities for the purpose of illustrating the average quotes for a male driver aged 35 years in city downtown with owned Cadillac ATS 4DR 2015 model car. Luxury vehicles tend to be larger, heavier and well-built. This not only tends to the creature comforts in the vehicle’s interior but protects occupants when collisions occur. Therefore, it’s logical to see data for luxury vehicles reflecting greater safety. Cadillac follows this generalization. The Insurance Bureau of Canada reports that all Cadillac models perform at the average level or better when it comes to personal injury claims. That is, compared to all collisions in Canada, less money is spent on personal injury compensation than average. Fewer Cadillac occupants are injured. Those who are have less serious injuries. The Cadillac Escalade performs above average in this category. Since lower settlement costs equals lower risk to an insurance company. This has a downward influence on insurance prices for these vehicles. One of Cadillac’s innovations in its early days was the use of interchangeable parts. Automobile manufacture was once almost a custom business, as each vehicle produced had its own peculiar quirks stemming from making parts fit. Standardized manufacture, of course, lowers both the cost of the part and the ease of repair. Today, this is standard with all automobile manufacturers. While Cadillac is typical of the luxury car class when it comes to cost of repair, not all models are more expensive to fix. Cadillac Seville, Deville, and Escalade from various model years cost less than the average of all vehicles in collision repair claims. A few more models hover around the average range, but the bulk of the remaining models cost more than average to repair. Those models costing more than average to repair carry an accompanying tendency to cost more to insure. Since the vehicle is statistically likely to cost an insurance company more to repair, premiums for auto insurance coverage for that vehicle reflect the higher cost. The sticker price of Cadillac luxury vehicles also draws higher insurance rates. When a motorist selects replacement value coverage on a new vehicle, a higher priced vehicle adds to the cost of that policy endorsement. A common move in recent years from luxury car manufacturers is marketing toward younger buyers. The average age of a Cadillac buyer is 59, the oldest among top luxury brands. Though models and styles are changed to target this younger market, there is still a trend of appeal to older buyers, even with the youth-oriented changes. There is potentially bad news for insurance prices because of these marketing strategies. Bringing more young drivers into the brand may cause models to suffer as the driving habits of younger people work into the statistical base. If the Cadillac youth movement settles with the over 25, family crowd, no insurance cost change should occur. When those younger than 25 respond to Cadillac marketing, there’s a potential for increased costs if these drivers perform as insurance history suggest. Equally troubling is the aging of Cadillac’s loyal customer base. While mature and senior drivers are some of the safest risks for insurers, many of the brand’s faithful are now elderly and into performance classes where accident percentages climb. As accidents occur with greater frequency, statistics again nudge up cost to insure for all ages driving that model. Theft is an issue for Cadillac only with its 2006 Escalade model. This has a boosting effect on comprehensive coverage for that model, but with new anti-theft systems and features, the effects of that year will fade over time. Car thieves generally target easy to steal vehicles, and luxury makers respond with new and reliable methods of theft protection. Even with the Escalade model, current anti-theft systems may result in lower comprehensive insurance costs. Cadillac vehicles are part of the Takata Airbag recall, the most extensive auto recall in North American history. Cadillac ATS sedans from the 2013 to 2015 model years with power sunroofs have a recall advisory. ATS models from 2013 and 2014 are also subject to a recall for transmission shift issues. 2013 Cadillac ATS vehicles have a recall for a flashing brake light issue as well as cruise control that spontaneously disengages. 2014 CTS models are involved in this recall as well. 2011 Cadillac CTS sedans have a recall in place to fix an unintended airbag deployment problem. This issue is unrelated to the Takata recall and doesn’t originate with the airbag or its sensors. Cadillac CTS Coupe, CTS Wagon, CTS-V Coupe and Wagon models as well as, the Escalade Hybrid currently have no recalls in place. Cadillac Escalade models from 2013 and 2015 have recalls for two separate issues. There are front passenger airbag deployment problems unrelated to the Takata recall and transmission conditions that could cause vehicle rollaway. Cadillac SRX vehicles from 2010 to 2015 have several recalls in place, from a loose joint and worn thread issue to transmission software problems. 2013 SRX cars with 18-inch wheels have a recall addressing loose wheel nuts. Cadillac has strong insurance cost performance, due to its mature driver appeal, safety performance and low theft risk. Motorists looking at Cadillac models can still find ways to lower car insurance costs. One category of savings that’s often overlooked is that of insurance discounts. Because Ontario’s auto insurance market encourages competition, insurers often incorporate new ideas and programs to entice new clients or reward those who have been with the company for years. By the same token, not every insurance company offers the same discounts. Another insider tip is that insurers won’t add discounts in most cases until the client asks. It’s a good idea to check with your company, agent or broker on a regular basis – at least annually at renewal time – if there are existing or new discounts for which you qualify. Cadillac is a division of US-based General Motors (GM) that specializes in the marketing of luxury vehicles worldwide. Although its primary markets include the United States, Canada, and China, the vehicles are also distributed in 34 additional markets worldwide. Cadillac was founded from what was left of the Henry Ford Company in 1902 and is among the oldest automobile brands in the world. Even before it was sold to General motors in 1909, Cadillac was already a reputable luxury carmaker. The SRX crossover is a popular Cadillac Model in Canada. It is ranked fifteenth on the list of Best-selling Luxury cars in Canada. The Escalade series is also fairly popular among Canadians. The Cadillac SRX will impress you with a host of safety features, including antilock brakes, side impacts airbags, knee airbags, front impact airbags, overhead airbags, stability control, anti-theft system, restraint system, security system, ABS braking assistance, child safety door and window locks and traction control. For Cadillac, safety is a priority. The SRX crossover earned an overall five-star safety rating from the National Highway Traffic Safety Administration. Cadillac parts are available all over Canada. Some model parts may be slightly more expensive than others. On the average, it will cost more to replace Cadillac parts compare to other car brands. Cadillac produces reliable models with enough power to effectively drive across town or even across the country. 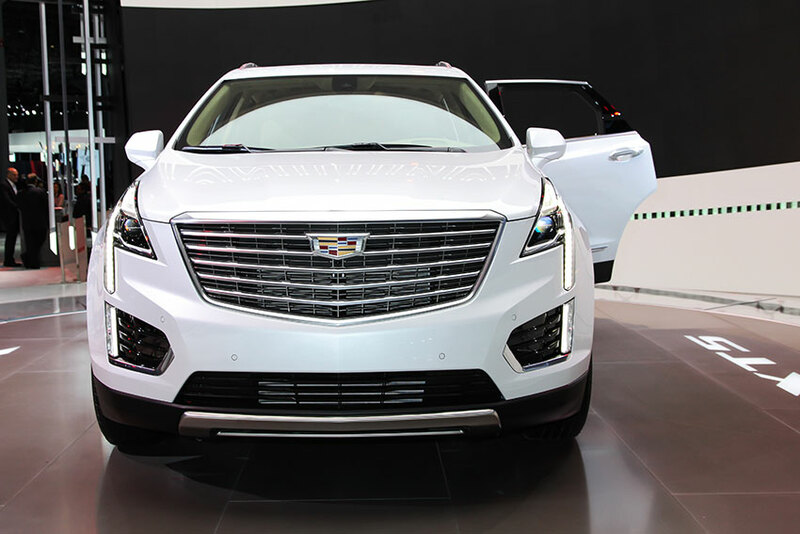 The SRX Cadillac model earns a reliability of four-stars from the National Highway Traffic Safety Administration. Although the Cadillac Escalade rates among the most stolen cars in Canada, with the installation of anti-theft features on the latest models, incidents of theft have greatly reduced. The SRX comes with an alert system that notifies you when someone is trying to gain entry without your permission.